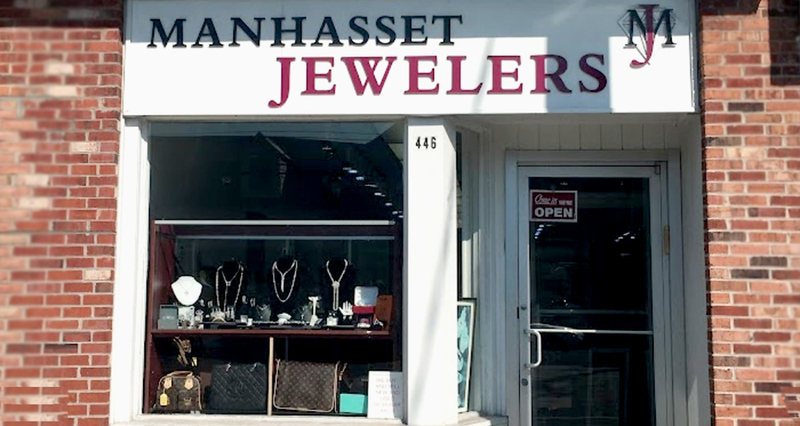 Manhasset Jewelers has been in business since 1999. We support local charities and businesses. We work with our clients in a very family oriented atmosphere. We Pay the Highest Price for Unwanted Diamonds, Platinum, Gold & Silver Jewelry & Brand Name Watches. We have a Large Selection of Designer Jewelry 14-18K Gold, Platinum & Sterling Silver. Jewelry Repairs Done on Premises. Servicing & Repairing all High End Brand Name Watches (Rolex Cartier). Certified Diamonds GIA & EGL at Wholesale Prices.